UCLA film archivist and sometime film detective Valentino doesn’t take friend and former actress Beata Limerick very seriously when she tells him that she quit acting because of the curse on blond actresses. Marilyn Monroe, Jayne Mansfield, Thelma Todd, Sharon Tate… they all had more fun, but none of them made it out of the business alive, and according to Limerick, she wasn’t taking any chances. But when Valentino finds Beata’s body staged the way Monroe was found, “Diamonds Are a Girl’s Best Friend” playing on repeat; he knows Limerick’s death was no accident. 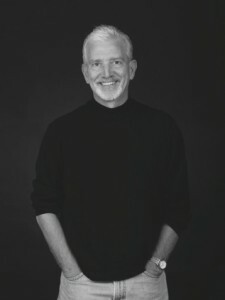 Loren D. Estleman (b. 1952) has written more than sixty-five novels. His most enduring character, Amos Walker, made his first appearance in 1980’s Motor City Blue, and the hard-boiled Detroit private eye has been featured in twenty books since. Estleman has also won praise for his adventure novels set in the Old West, receiving awards for many of his standalone westerns. In 1993, Estleman married Deborah Morgan, a fellow mystery author. He lives and works in Ann Arbor, Michigan. We will pick the winners on October 21st. This sounds like a very interesting book, and one I’d really enjoy!